In this ethnographic examination of women’s mosques in the Maldives, anthropologist Jacqueline H. Fewkes probes how the existence of these separate buildings—where women lead prayers for other women—intersect with larger questions about gender, space, and global Muslim communities. Bringing together ethnographic insight with historical accounts, this volume develops an understanding of the particular religious and cultural trends in the Maldives that have given rise to these unique socio-religious institutions. As Fewkes considers women’s spaces in the Maldives as a practice apart from contemporary global Islamic customs, she interrogates the intersections between local, national, and transnational communities in the development of Islamic spaces, linking together the role of nations in the formation of Muslim social spaces with transnational conceptualizations of Islamic gendered spaces. 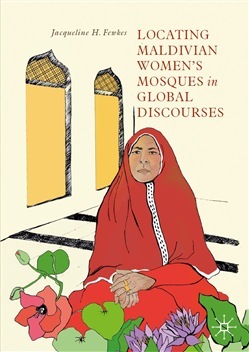 Using the Maldivian women’s mosque as a starting point, this book addresses the roles of both the nation and the global Muslim ummah in locating gendered spaces within discourses about gender and Islam. Acquista Locating Maldivian Women’s Mosques in Global Discourses in Epub: dopo aver letto l’ebook Locating Maldivian Women’s Mosques in Global Discourses di Jacqueline H. Fewkes ti invitiamo a lasciarci una Recensione qui sotto: sarà utile agli utenti che non abbiano ancora letto questo libro e che vogliano avere delle opinioni altrui. L’opinione su di un libro è molto soggettiva e per questo leggere eventuali recensioni negative non ci dovrà frenare dall’acquisto, anzi dovrà spingerci ad acquistare il libro in fretta per poter dire la nostra ed eventualmente smentire quanto commentato da altri, contribuendo ad arricchire più possibile i commenti e dare sempre più spunti di confronto al pubblico online.